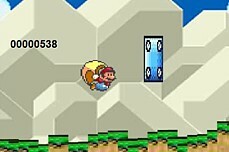 Mario is lost in space and for some odd reason the only way out is to land safely on a whole lotta platforms. Ok then. 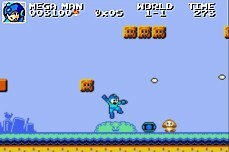 The goal is to avoid the asteroids and make a safe landing on each platform. 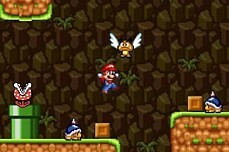 If you come in to fast toward the landing spot, you will crash and have to start the level over. Honestly, it is not that hard but the physics make it fun. 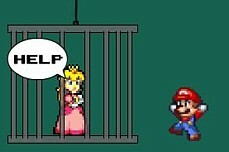 The princess has been captured and you must rescue her! 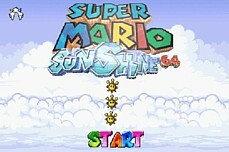 Complete 8 levels by collecting the star to save Princess Peach. Plays like Tetris. 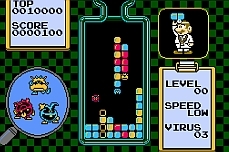 Doctor Mario must use his pills to eliminate the viruses and avoid overfilling the bottle. 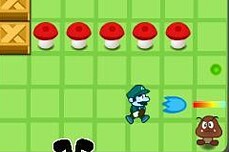 Save the castle by beating up all of the enemies who try to attack it. Use combos of moves to knock your foes dead. 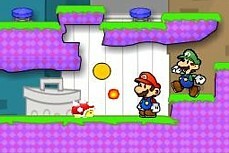 Luigi is on a mission to avenge his missing brother Mario in this well made flash game. Will he find what he is looking for? 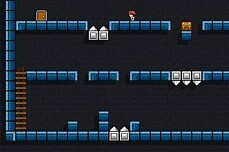 A Mario-like game with 30 mini levels await you. 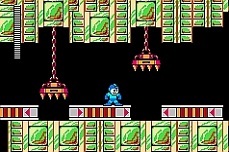 Collect the treasure chests in each level then reach the exit door to move on. 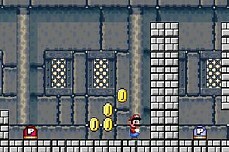 To save Yoshi, Mario must collect all the coins on each level to reveal the star. 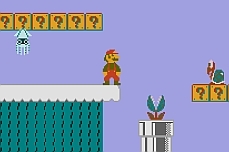 There are 8 total levels. 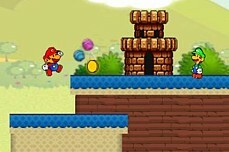 Mario must play mini-games while Bowser is away in order to rescue the eggs. 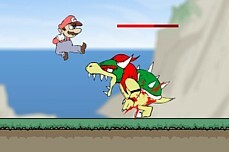 If Bowser catches you, you lose! 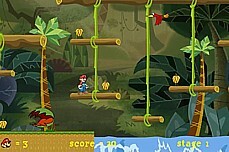 An endless runner with a cool twist - anti-gravity! 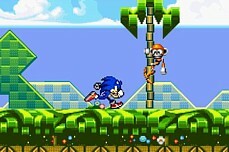 Toggle between gravity and anti-gravity to see how far you can go. 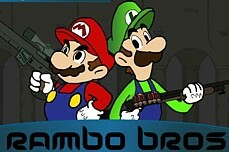 A whole new take on the Donkey Kong vs. Mario series of games. 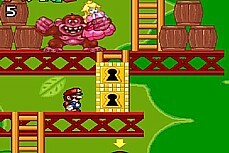 Grab keys and dodge barrels as you try to rescue the Princess. 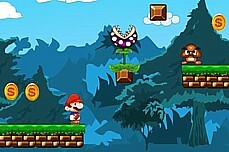 The Helicopter Game but Mario Style. 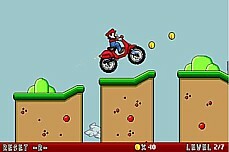 See how far you can glide without hitting objects or the top or bottom of the screen. 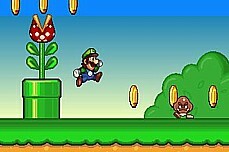 Collect all the coins and mushrooms in each level then find the blue flag to move on. 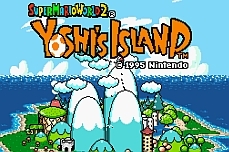 There are 10 total levels. 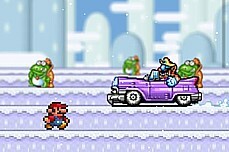 Peach has been kidnapped for the 387th time! 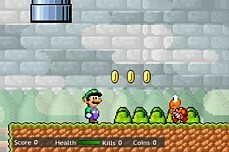 Shoot your way into Bowsers fortress with an array of guns to save her. 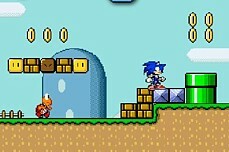 Just when he thought it was all over, Sonic once again finds himself totally lost in Mario World. 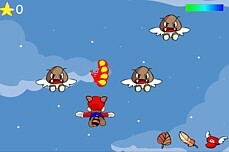 Kill all the enemies in each level by shooting them then popping the bubble that appears around them. 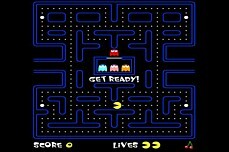 2 Player optional. 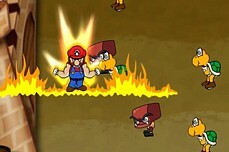 Punch, kick, and combo your way to victory in this fighting flash game. 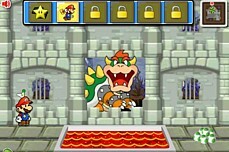 You must beat several stages before meeting Bowser.